Great weekend! Thanks everybody who came out to compete or help us out and those who came out to watch. It was a great show, we had some good competition on the course with Andrew Fish taking the win with an incredible three consecutive rounds under 60 – all on the long layout. We had a fun round of doubles on Thursday. A tight round of mini disc on a 9 hole course laid out around the recreation building and a putting contest and long drive competition in the afternoon on Friday. Saturday we woke to find the small creeks that run through the course had over-run the banks in the deluge of rain and thunderstorms that ripped through overnight. Quick repairs were made to the OB ropes to get them staked back in the ground. We had a tree down across the fairway on #2. Travis Morret got out early with a chainsaw, cleared the tree and removed all the debris before anyone arrived. Travis then went on to win the Advanced division – congratulations and thank you! 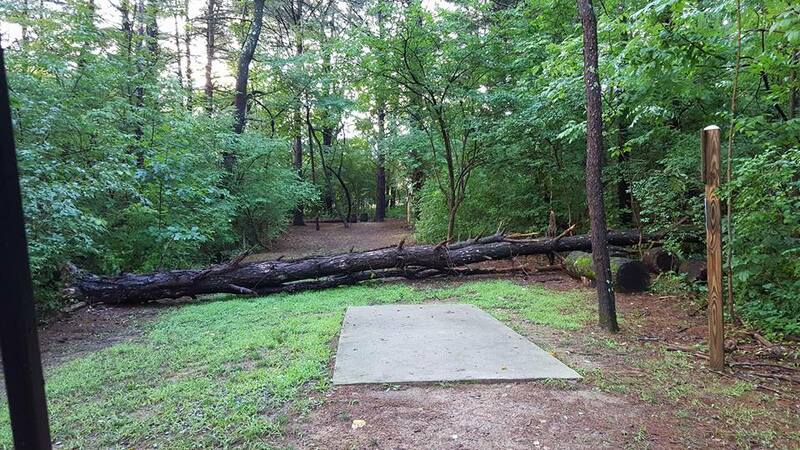 Saturday night we had a nice relaxed PA Disc Golf Hall of Fame induction ceremony – well most of us were relaxed, Lancaster’s own Hall of Famer had two flat tires on his way to the event and had to be retrieved by his LAFS buddies. It was a great dinner spread put out by our Hall of Fame crew Laura Ford with lots of help from a host of volunteers from the area disc golf community. By Sunday the course had dried a bit and weather was amazing – cool and cloudy with a slight breeze to start the day and slightly warmer and sunnier by the afternoon. The day concluded in the recreation building for the awards ceremony and where the left-overs from the night before were served. That was very much appreciated! Congratulations to all the winners and we hope everyone had some fun! This entry was posted in Updates on August 7, 2017 by todd.